Yesterday was rainy and dark. A cold front moved in yesterday afternoon and cooled everything down a few degrees and it put me in the most severe autumn mood. I bought the ingredients for this dish at the beginning of this week because the forecast said there was a chance of rain every day and it just felt like fall had officially arrived! I found this extremely autumnal recipe a few years ago in an issue of Martha Stewart Living and it became a very frequent dinner occurrence for us. It takes literally 15 minutes from start to finish – maybe 20 if you include peeling the parsnips. It’s perfect for a family on a budget as I can usually find discounted pork chops no matter when I go to the grocery store. Parsnips may be hard to find at a mega grocery store, but if you can’t find them, you can substitute in carrots. Parsnips are like carrot’s albino cousin. Maybe slightly more bitter, but they mellow out while cooking. The combination with the sweet grapes is perfect, though, so if you can find them, branch out and try them! For babies, simply steam come cubed up, or puree after steaming with a little water or chicken stock! In a large skillet, heat oil over medium-high. Season pork with salt and pepper and add to skillet along with parsnips. Brown pork and parsnips on both sides, about 5 minutes total. Add grapes and rosemary, and cover. 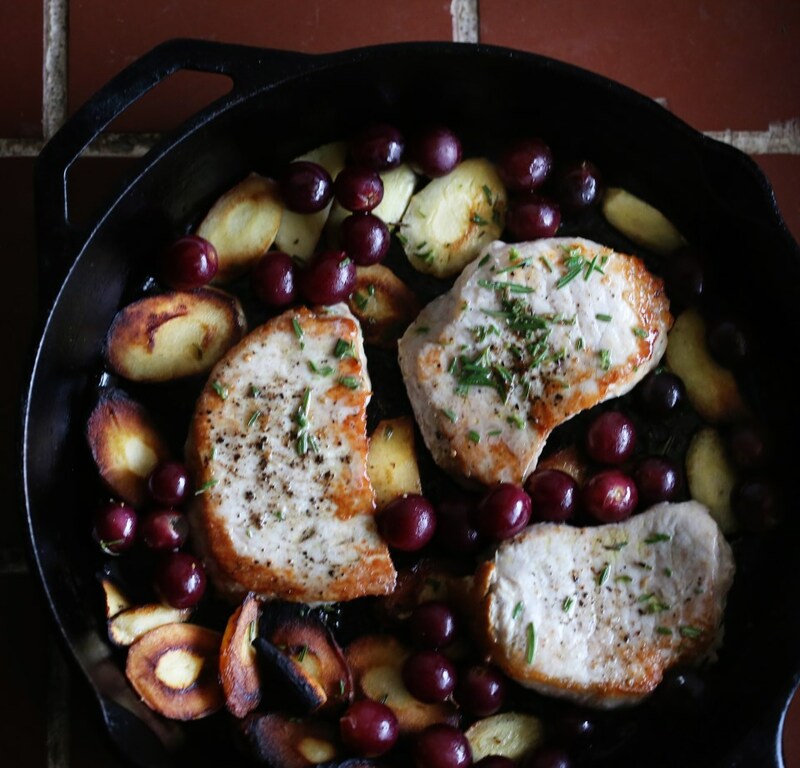 Reduce heat to medium-low and cook until pork is cooked through, parsnips are tender, and grapes have just burst, 3 to 5 minutes. 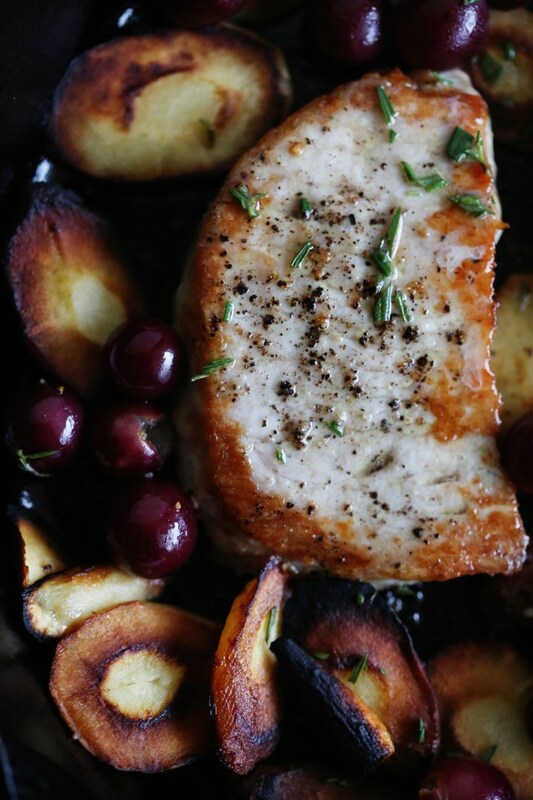 Serve pork with parsnips, grapes, and pan juices.